Who’s up for another round of dinner for two? Dinner for two is a new series I’m writing to give you, my readers, more ideas on meals for two people. For our second round of dinner for two, I have some chicken wings on the blog. You can buy frozen flavored chicken wings, but why do that when you can make your own sauce. I have started making my own sauce for chicken wings this past year. Some of my favorites are sweet chili lime, Asian zing, Parmesan garlic, and buffalo. Today, I’ll be sharing with you my sweet chili lime chicken wings. 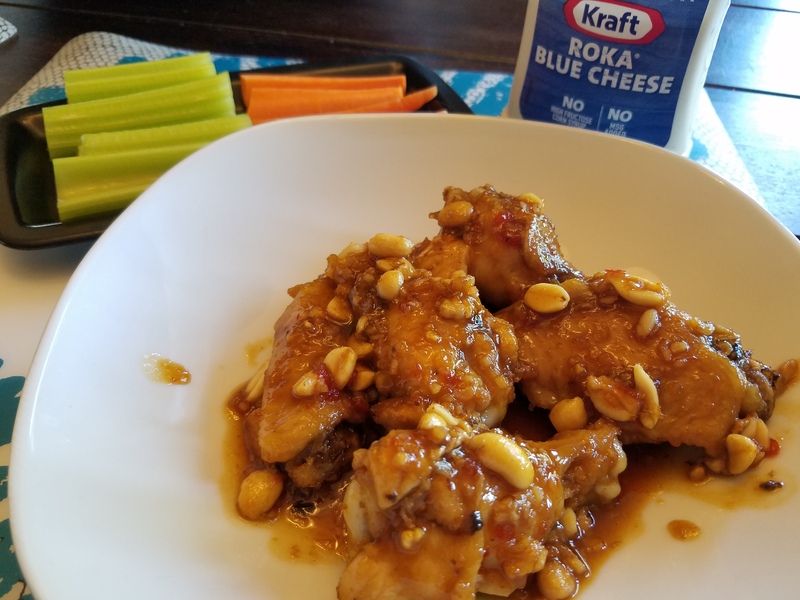 These wings are perfect paired with celery and carrots for dinner with your significant other. You can also make the sweet chili lime chicken wings as an appetizer paired with chips and salsa/guacamole and/or other snacks. 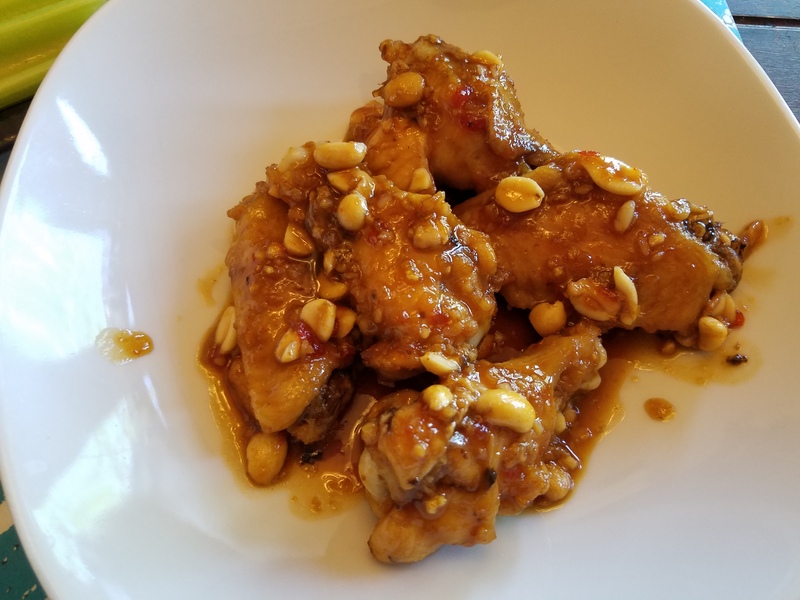 Below is my recipe for sweet chili lime chicken wings. Bake chicken wings 25-35 minutes (thawed) or 35-45 minutes (frozen) or until wings are cooked. 10 minutes before wings are done, start making sauce in a large saucepan. 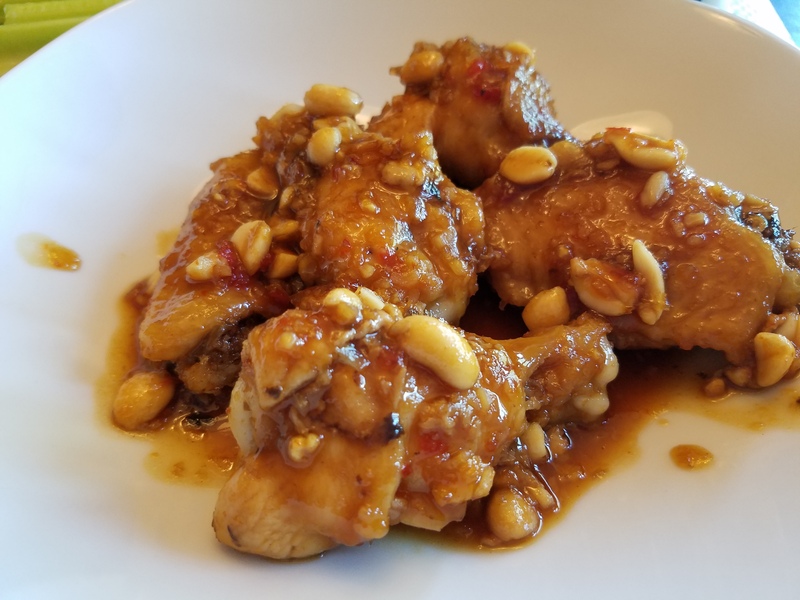 Add sweet chili sauce, soy sauce, garlic, lime juice, ginger, honey, and peanuts to saucepan; cook until it starts to bubble. Add flour if needed to thicken sauce. Once wings are cooked, add to sauce and mix. 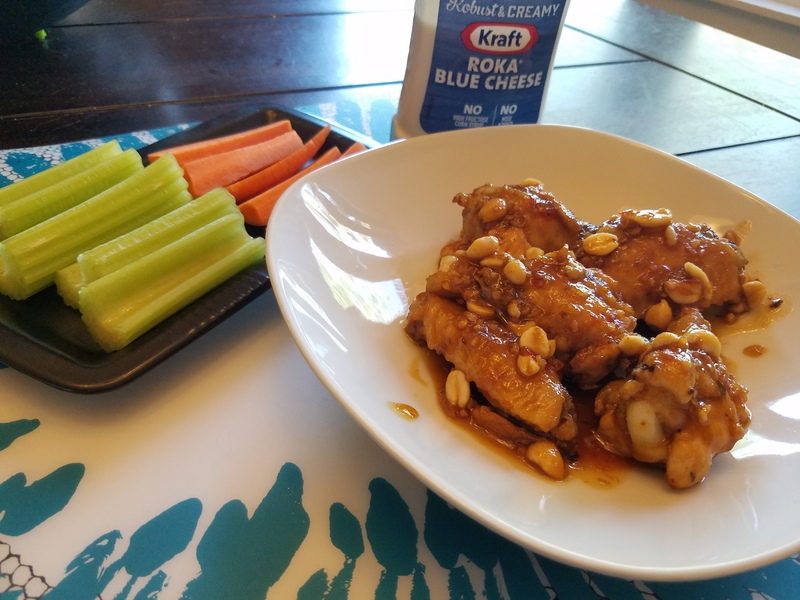 Serve wings as an appetizer or with a side such as celery and carrots. What are your favorite flavor of chicken wings? You’ll definitely have to try these sweet chili lime chicken wings! I know you’ll love us as much as my husband and I. What you like on the next round of dinner for two? My husband will love this! I’m going to make this for him this week. These look and sound delicious!! My husband and I love making wings. Yum!!!! With four kids, I rarely cook dinner for two, but this looks delish! My husband is going to love this, thanks! We like wings, sounds good to try. I am going to need to make this for 3! My 10 year old adores wings! Wings are absolutely my favorite chicken part 🙂 have to try this! I love wings, but my husband hates anything on a bone. Maybe I’ll make this the week he is away for work! I just love this kind of recipe. Will try it soon. Omg these wings look so good. I love the sweet and spicy combination and with the peanut as addition. Yummy! These look SO good! Such a delicious meal, yum! YUM!! Anything with Sweet Chili Sauce is my fav!!! These sound great! I tend to skip past posts like this because I’m cooking for five, but this would be easy to scale up for the family. Thanks for sharing it. I’m cooking for 5 as well. There are few meals I cook for my husband and I that my girls won’t eat. I’ve actually never made wings, but I love homemade sauces. I think my husband would love this recipe! These look yummy and pretty simple to make. Yumm! My husband loves wings! I’ll have to save this to make for him. I love recipes for just two, because sometimes the kids don’t what we want or they are at their activities and eat dinner super early.